If you’ve been following along on my instagram feed, then you know I’ve been struggling with getting this dough just right. But what I haven’t as yet mentioned is the fact that this struggle has been going on for a very long time, not just the couple of weeks that I’ve chronicled it recently. We’re talking years, people. And true confession time… this is actually a cinnamon roll story which begins quite a few years ago when I began making my Mother-in-law’s delicious cinnamon sticky buns which involved a loaf of Bridgeford frozen bread dough, thawed and rolled out and filled and rolled and baked and oh man, were they good… kind’ve plump and soft and doughy and everything you want in a cinnamon roll. Except for homemade dough. No matter how good those were, I really wanted my cinnamon rolls to come from homemade dough, so I began trying different cinnamon roll recipes, but to no avail. None of them came close to re-creating the supple texture of the frozen bread dough. I gave up and went back to the freezer section. Until recently I declared that enough was enough! I was going after the perfect homemade cinnamon roll. Or die trying. After the first two failures, I couldn’t see eating as many cinnamon rolls as it might take to reach perfection, so decided to make garlic rolls and cheese rolls, knowing that I would recognize my perfect dough when it showed up, no matter the filling. An earlier attempt with a 2-egg dough. They look nice, don’t they? But no, way too dry. I was so excited about the dough that I made for those first garlic rolls that I posted on instagram. I was sure I’d figured it out. Bah!!! No! They were still that cake-y texture characteristic of every single cinnamon roll recipe I’d tried. Frustration set in, I dug in my heels and headed straight for my cooking guru for advice and a little science. That would be Shirley Coriher, the famed biochemist who makes occasional visits on Alton Brown’s show, Good Eats. She is a wealth of knowledge and wisdom, so I turned to her culinary reference text, Cookwise, figuring that if anyone could lead me down the right path, it would be her. And she didn’t let me down, no sir. Looking at my recipe’s ingredients list, I long suspected the egg(s), but every cinnamon roll recipe seemed to have them. Why?? Well, replied Ms Coriher, eggs act as leaveners, binders and also act to dry out your dough, producing a light, airy texture. Arrrrggghhh!! Of course they do!! Eggs dry out your dough and in cake batter and cookies make them light and wondrous, but this is the very opposite effect that I’m trying to achieve with my cinnamon rolls! Long story short… lose the eggs! A little sleuthing turned up a recipe that I had tucked away a while back - this one from Alexandra Stafford’s fabulous book - Bread, Toast, Crumbs. Her simple peasant bread is legendary and her dinner roll recipe is an off-shoot of that. I adapted it a bit for my purposes and let me just tell you, folks, if you like a soft, supple, moist, doughy cinnamon roll or dinner roll, then ditch the eggs. Pronto. Words fail to describe the ethereal loveliness of this dough, so I will just leave you with the recipe and encourage you to find out for yourself. 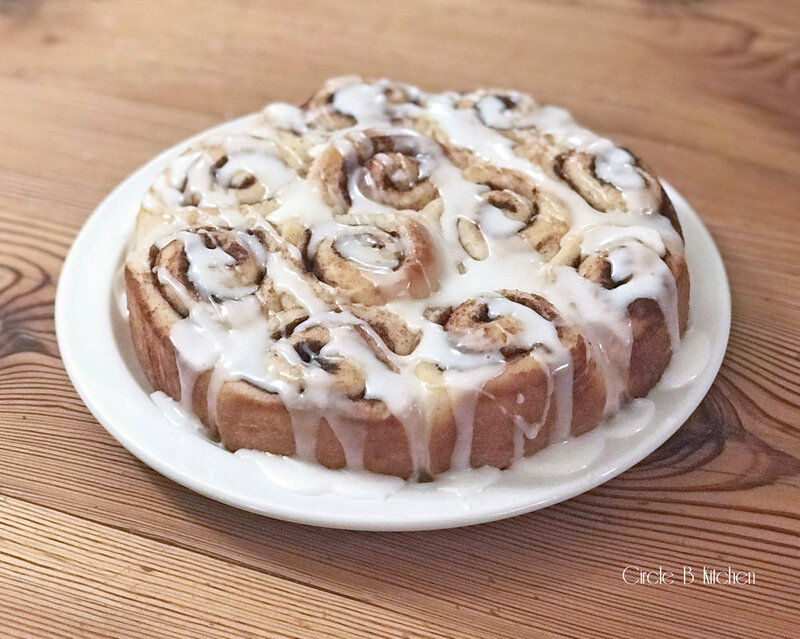 I’ve given you several different options and variations, so whether you’re into making cinnamon rolls for the holidays or dinner rolls or garlic rolls or cheese rolls, we’ve got you covered. One dough, many joys. 1. In a large bowl, whisk together the flour, salt, sugar, and instant yeast. In a medium bowl, pour the boiling water over the buttermilk and stir to combine—the mixture will look slightly curdled. Let it cool for 10 minutes, then add it to the flour mixture. Add 4 tablespoons of the melted butter. Using a rubber spatula, mix until the liquid is absorbed and the ingredients form a sticky dough ball. (Note: I did all of this in my stand mixer and used the dough hook to knead it for about 5 minutes). Cover the bowl with a damp tea towel or plastic wrap and set it aside in a warm spot to rise for 1 1/2 to 2 hours, until the dough has doubled in bulk. 2. Set a rack in the middle of the oven and preheat it to 375°F. Grease two 8-inch circle or square baking pans generously with the softened butter. Using two forks, deflate the dough by releasing it from the sides of the bowl and pulling it toward the center. Rotate the bowl quarter turns as you deflate, turning the mass into a rough ball. 3. Sprinkle your work surface with some of the dusting flour. Using your two forks and working from the center out, separate the dough into two equal pieces. Use the forks to lift one half of the dough onto your clean surface. Using as much flour as necessary from the surface, dust your hands and the exterior of the dough, then shape the mass as best you can into a ball. Using a bench scraper or a knife, divide the mass into 10 to 12 equal-size pieces, each 1- to 2-inches in diameter. Using as much flour as needed to prevent sticking, roll each piece into a ball—it’s okay if each piece is a little misshapen—then transfer to one of the prepared pans, spacing them evenly apart. Repeat with the remaining dough and the second pan. Do not cover the pans. Let the dough rise on the countertop near the oven (or another warm, draft-free spot) for 20 to 25 minutes or longer (up to 1 hour if they’ve been refrigerated), until the dough pieces have puffed to almost fill the pans. 4. Transfer both pans to the oven and bake for 20 to 25 minutes, until golden. Remove them from the oven and immediately brush the surfaces with the remaining 2 tablespoons melted butter and sprinkle with sea salt. Let the bread cool in the pan for 5 minutes, then turn it out onto cooling racks and invert it again onto plates. Let the bread rest for 5 minutes before serving. Turn dough out onto your floured work surface and gently pat it flat. Use a rolling pin to roll it out into a rectangle, about 1/4-inch thick. Spread the dough with the softened butter and then sprinkle the remaining filling ingredients over the butter. Starting at the long edge, roll the dough tightly, dusting your fingers with flour as needed. Once you have a good, tight roll, slice that into even slices (about 14-16) and place in a greased 9x13 pan or 2 greased 9-inch cake pans. Cover with a damp towel and let rise for about an hour. Meanwhile, preheat the oven to 375 degrees. Place the rolls in the oven and bake for 20-25 minutes. Remove from the oven and then brush the tops with the garlic butter mixture. Let rest in the pan for a couple more minutes and then turn out onto a cooling rack before placing on a serving plate. Serve warm. For Cheese rolls, eliminate the garlic, double the parmesan and add 1/2 cup grated Gruyere cheese. 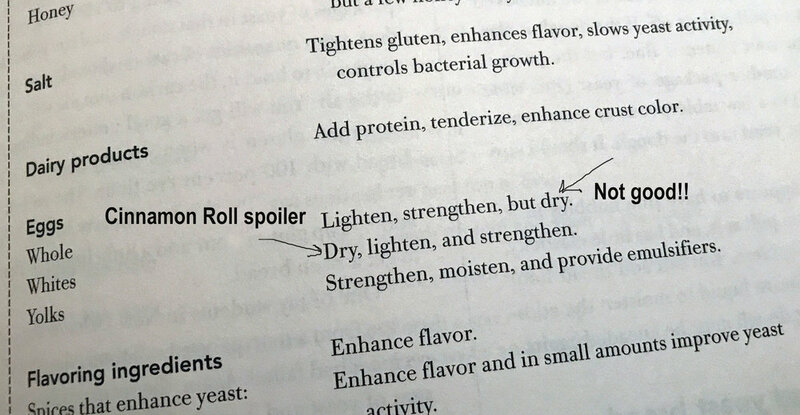 Follow the above instructions for garlic-cheese rolls. After spreading the dough with butter, sprinkle liberally with the cinnamon-sugar mixture. Roll and slice as instructed. After baking and allowing the rolls to cool to room temp, drizzle with the glaze and serve immediately.